When you go to Hawaii you will see many beautiful things because Hawaii has a great blue sky, excellent beaches, white sand and total fun. This land which consists of several islands belongs to the United States and has a very nice tropical climate which makes Hawaii an ideal destination for many tourists. Surfers love going to Hawaii as the coasts of the islands have large waves that facilitate the practice of this sport. In Hawaii you can also find great volcanoes, vast woodlands, beautiful tropical lagoons plus large waterfalls. In this article we will talk about Hawaii and its tourist attractions, the most visited places in these islands so we would give ideas for activities you can undertake if you visit this beautiful place. It is called “Big Island”, the best known of the archipelago of Hawaii and attracting more tourists. Its geography is impressive; it has an arid western area which is known as Kona plus a very tropical area known as Hilo. At this island we will also find the Volcanoes National Park, here there are two active volcanoes which are named Mauna Loa and Kilauea. For the complete comfort of its visitors the island has excellent resorts, large hotels and the best five forks restaurants. A very good choice if you visit the Hawaiian Islands. On the island of Oahu it is located the Hawaii’s capital, the city of Honolulu. This island receives each year a large number of visitors. It also has the largest population of all the islands of the archipelago. 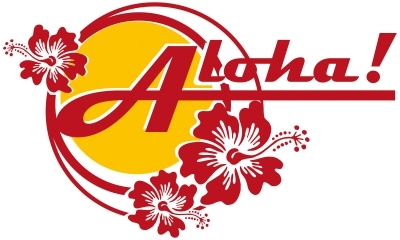 On the island of Oahu it is located Waikiki Beach, visited by surfers from around the world. It is in winter that most surfers enjoy the waves as they are larger in this time of the year. The very famous bay of Pearl Harbor, which was attacked by Japan marking the United States’ entry into World War II, is also located here. We also would find the Diamond Head volcanic cone, which is much visited for its beauty. Maui is a very famous island of Hawaii, known to all as the Valley Isle. Here is Maui’s Central Valley, which has large sugar plantations in addition of its great beauty. At Maui you will find comfortable hotels throughout the year. In the fall you can appreciate the whales migrating from Alaska to the beaches of Hawaii; this is a great spectacle for everybody. The tourists will appreciate the volcanic crater of Haleakala. In this island there are large cities such as Lahaina, Kihei, Kahului, and Wuailuku. Here, It is also located the very popular village of Hana, which has beautiful landscapes.